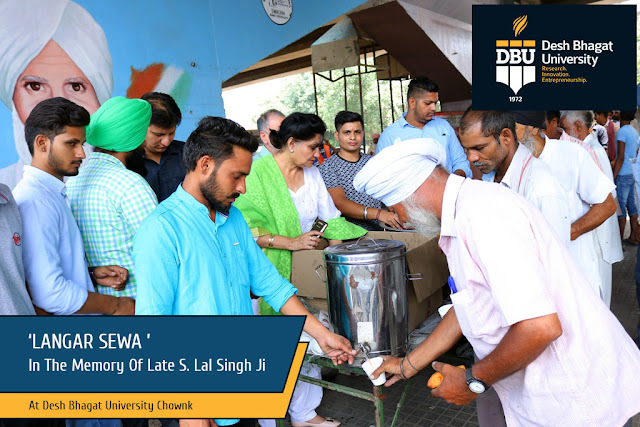 Desh Bhagat University organized a Langar at Desh Bhagat Chowk, Mandi Gobindgarh in the memory of Late. Sr. Lal Singh Ji a veteran freedom fighter and an associate of Neta Ji Subhash Chandar Bose. Dr. Zora Singh, Chancellor Desh Bhagat University and Chairman Desh Bhagat United, Dr. Tajinder Kaur, Pro Chancellor, Desh Bhagat University and Er. Sandeep Singh Vice President, Desh Bhagat United personally served the Langar (Bread Pakoras and Tea) to the public. 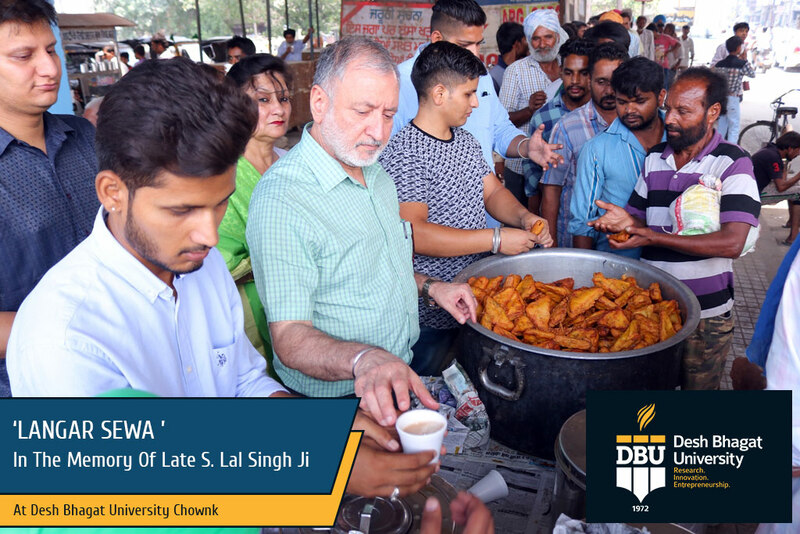 The Langar was organised in the memory of Freedom Fighter S. Lal Singh, father of Chancellor Dr. Zora Singh. He remained ever ready to perform corporate social responsibility for the service of the people. 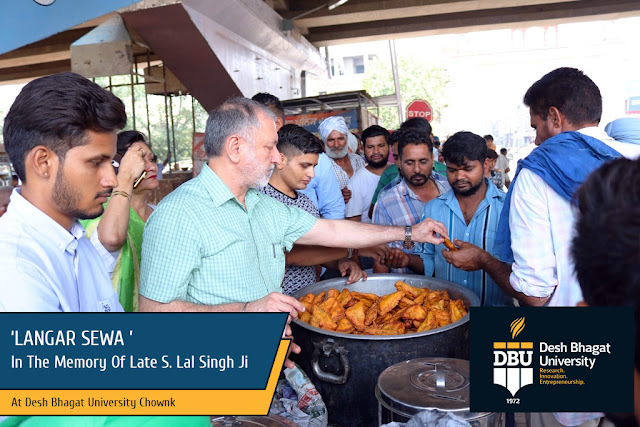 Sr. Lal Singh is the inspiring spirit for Desh Bhagat United and Desh Bhagat University. His high ideals are the light house for the organisation to serve the society with dignity and humility. A large number of persons partook the ‘Langar’ and blessed the organisation.